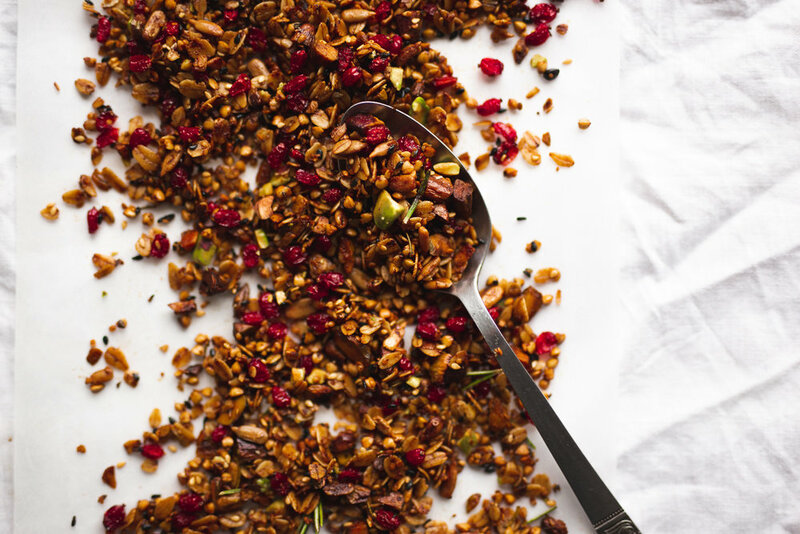 Savoury granola: pistachio, sunflower/sesame/hemp seeds, barberry, rosemary, lemon. 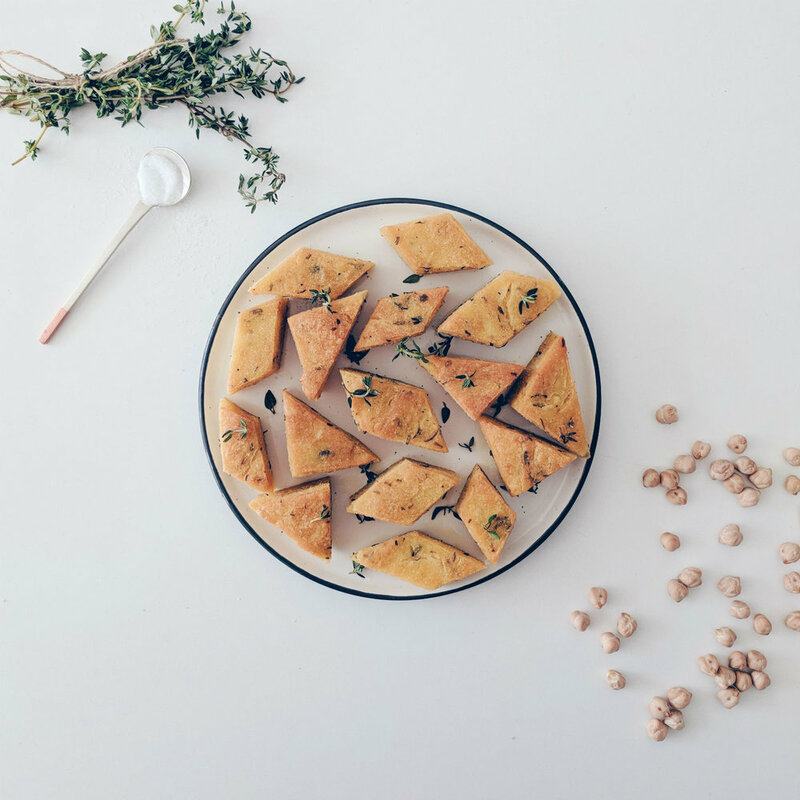 Panissa, baked chickpea bites from Liguria. Between the sea and the mountains on the northwestern tip of Italy's boot, lies the untouched and vibrant Liguria. Aside from being home to some people you may have heard of, such as "Christopher Columbus" and Niccolò Paganini, it was also my home until just recently. Four fruit (cherry, strawberry, raspberry, red currant) jam crostata. There are many things unspoken by a crostata. It whispers of times past. It comforts in times of disarray. It proves that simplicity is, indeed, beautiful.